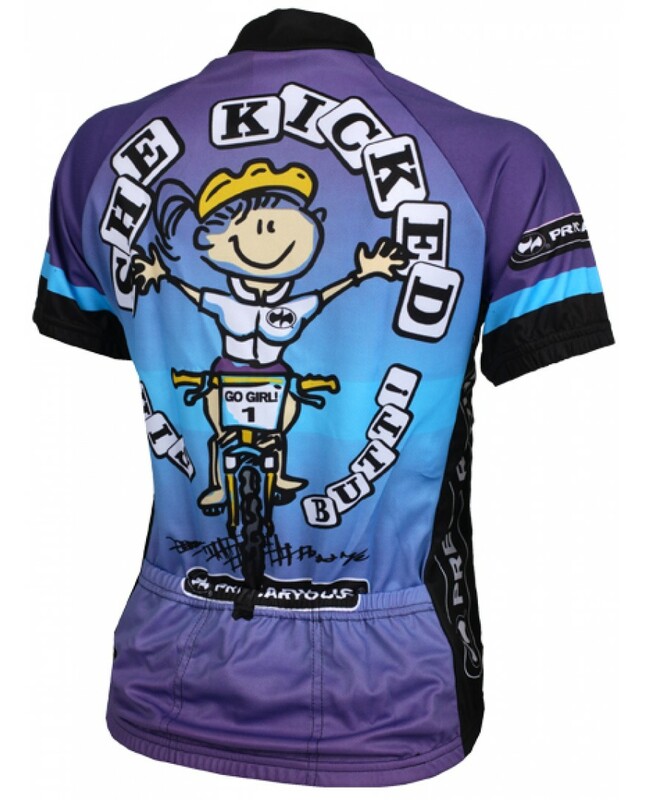 Check out this World Jerseys Jack N Jill Jersey Purple Womens Cycling Jersey. 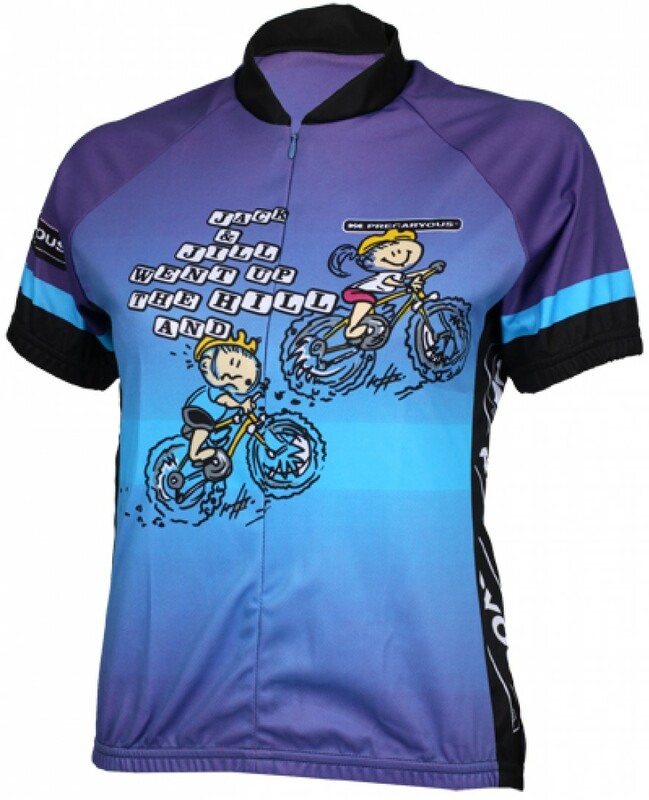 Made out of 100% Polyester DrySport wicking fabric. 15″ hidden zipper. Elastic waist and cuffs. Three rear pockets for storage. Womens specific fit.